Click here to go to my products page and sign up for a class now! Fairly warned be thee says I, only the most stalwart and hearty sea dogs sign up for this class. 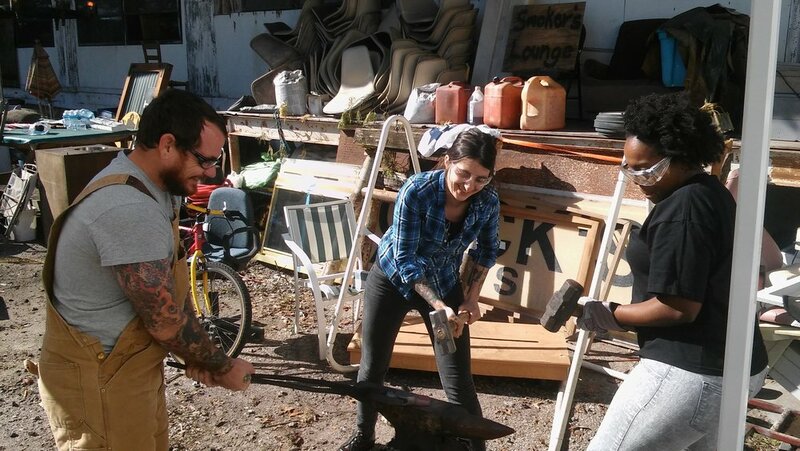 We'll be crafting finely forged hook-hands, and gnarly eyepatches in this workshop. The nearness of Talk Like a Pirate Day and Halloween make this the perfect class for all would be plunderers! Yar! As Octoberfest comes to a close lets all get together and share a final brew. We will be making bottle openers with our own unique twist. 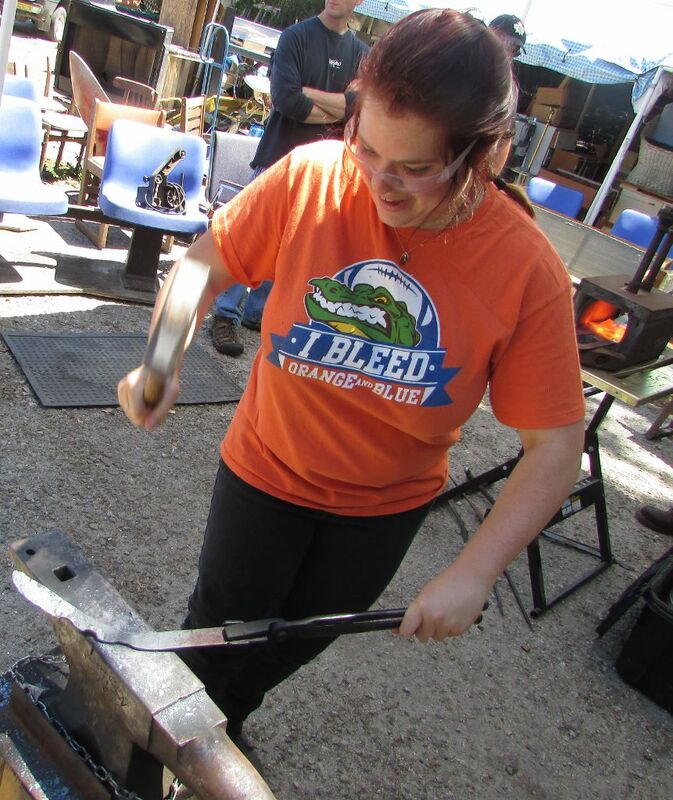 This class aims to be fun allowing students to create their own clever designs in metal. Steel will be our canvas, and chisels punches and drifts our paint brush. Skulls, mermaids, owls are a few I have made. What can you come up with? The only way to find out is to join the class and follow me afterwards for a pint at the local pub. All classes are designed with the beginner in mind. Anyone can be a blacksmith! Do you have a group that wants to schedule a private party? Shoot me an e-mail and we can schedule a class just for you! 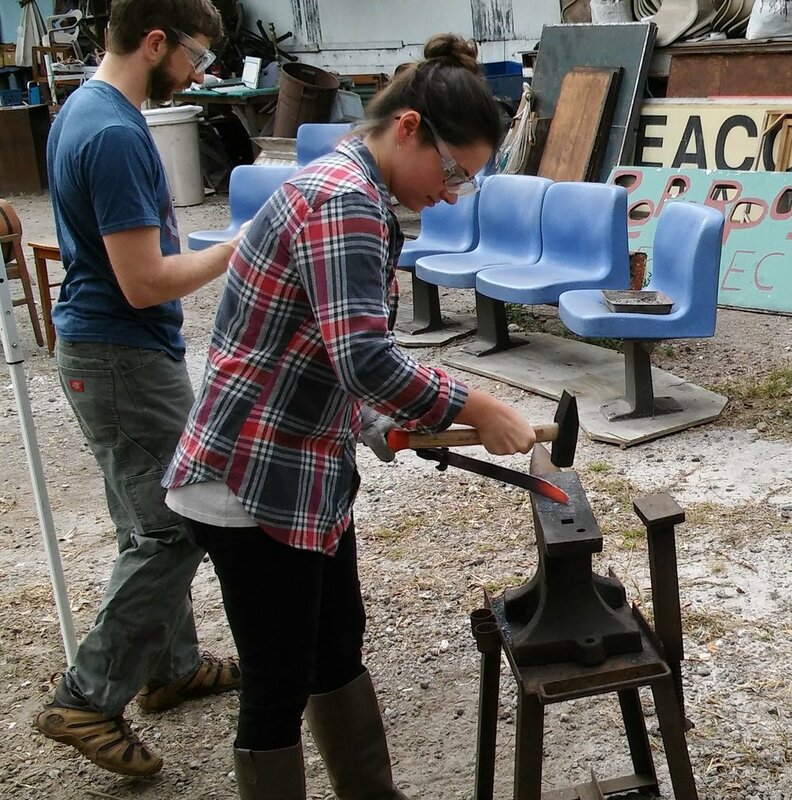 All classes are held at the Repurpose Project in Gainesville FL. Students ages 13-16 must be accompanied by an adult that is taking the class as well. Sorry no one under the age of 13 may take a class.